This article is the beginning of hopefully ViralMom’s series sharing mom entrepreneurship stories. If you want to be featured, please submit your answers here. 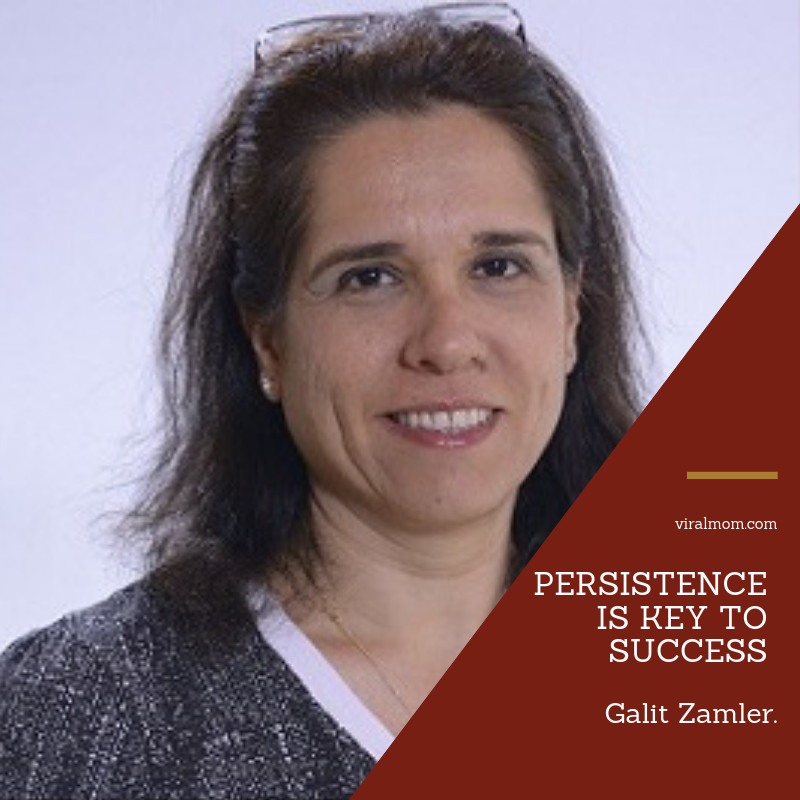 Today we are featuring Galit Zamler, a business and social entrepreneur, an advisor, and lecturer on entrepreneurship education. When and why did you decide to start your online venture? What inspired you? In 2009, when my son was in sixth grade, his school header wanted the students to learn entrepreneurial classes. She found an organization which was willing to do that, but they had three conditions: First, they wanted only outstanding students, and I thought that this is a wrong approach, because you don’t have to be a good student to be an entrepreneur. There’s no connection between these two things. Second, they wanted at least 20 kids to participate, and third, it cost a lot of money. The course wasn’t open, and I suggested the principal that I’ll teach this course on a voluntary basis. Thus, I developed an entrepreneurship program for kids that has been taught in many schools in Israel and also in the United States, China, Hong Kong and recently in India and Vietnam. I’m not sure there was something that inspired me, but my motivation came from knowing that our children need to learn new skills that entrepreneurs have. Like this we can prepare them for real life. Please share your biggest struggles at the start. How did you overcome them? My biggest struggle was to reach schools who will want me to teach the program. Although at first, my activity was voluntary, schools did not want my entrepreneurial program. I tried in many ways to reach the school headers and convince them, nothing worked. So I decided that instead of looking for the schools that want the program, I will build a website that will tell about everything I did with the students until that point (in the meantime I opened a private after-school class). And what happened was that school principals who were looking for a program like mine found me, and so slowly more and more schools joined. What ONE most important lesson did you learn when starting your business? The most important lesson I learned from establishing this business is that persistence in something you believe in is the key to success. At first, people did not understand why children should learn entrepreneurship. But I believed that entrepreneurship education would empower students and give them life skills. I did not give up and tried different ways to reach school principals, and finally, I succeeded. Beyond that, the venture started a social initiative voluntarily, but over the years has become a business enterprise and profitable. The persistence was made possible by the belief that I was doing something right and good with a great contribution to society, but also because I really liked what I did, and to this day I really enjoy teaching students and teachers, so I expanded the project to more and more target audiences. What would you have done differently if you were to start now? I think I would not do anything other than what I did. But I would have come with a lot more self-confidence. I do not think I would have done anything other than what I did. But I would have come with a lot more self-confidence. Because at the beginning, I felt that since I was not coming from the education system, it was against me, but in the end it turned out that the fact that I did not come from the education system, but came as an experienced entrepreneur who adapted the world of entrepreneurship to the children was my advantage over the Ministry of Education’s entrepreneurship programs, because I speak the language and use term that entrepreneurs speak and use. I brought the “real thing”, and this is exactly what parents, teachers, and managers are looking for to teach students. How can our readers connect to you online? You can contact me via email: Galitz@galitzamler.com and through my website.